Only the T560…it’s the only combine [as far as I know]. I wasn’t kidding. Some fans suspected that this may be the case, as the equipment list on GIANTS’ website did not show a “coming soon” panel under the John Deere harvesters tab, which typically means (though isn’t a direct confirmation) that no additional machinery will be added to that section. Even so, many players will likely be disappointed by this revelation, as the introduction of John Deere to the series brought great excitement, and with it great hopes for the different types of equipment that could represent the brand in the game, given the wide variety of machinery and implements that it produces. Details on the T560 can be found in our article on the equipment list released in the first two weeks of postings – it’s a good mid-sized combine, featuring a 10,000 litre (approximately 285 bushel) grain tank. It probably won’t be the combine that players start out with, but it will probably serve as a good early-game upgrade when the initial combine gets too small. When one considers the competing interests of the various manufacturers, and the need for GIANTS to avoid having one company dominate the garage listings over another, it becomes more understandable that John Deere’s entire fleet lineup would not be included in Farming Simulator 19. While many companies manufacture a vast array of equipment, including seeders, sprayers, tractors, combines, and more – it’s important for GIANTS to manage how much of one brand’s equipment gets put in the game compared to another’s. 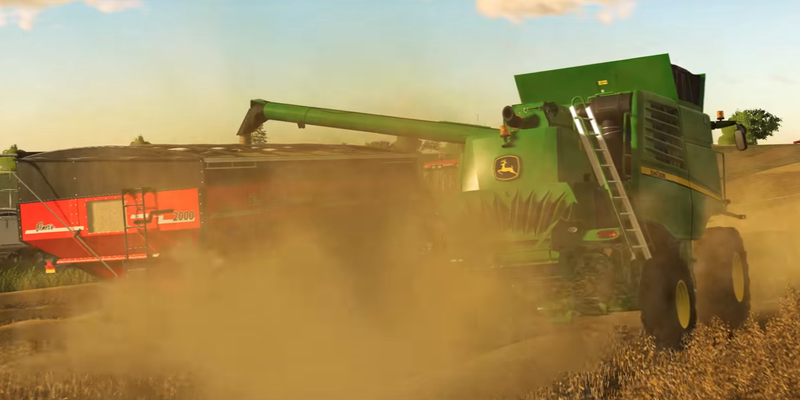 In fact, the Harvesting Crops Gameplay Trailer – which released that same day – showed the John Deere 6R series for the first time. However, only time will tell which other equipment we’ll see from the iconic brand. 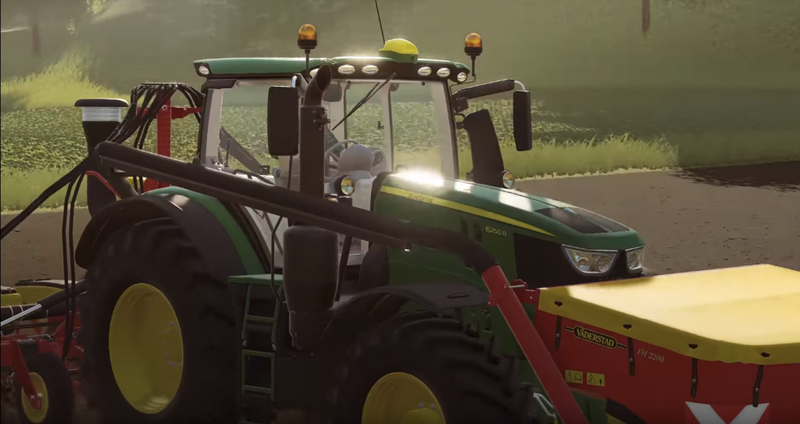 As we move closer to Farming Simulator 19‘s November 20 release date, Scholarly Gamers will provide extensive coverage of all the game’s news, so stay tuned!